Hello, and welcome. 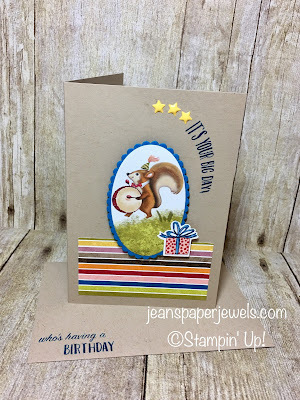 Today's card was made using scraps from little pieces from our Birthday Memories Designer Series Paper. I showed the whole suite on a Facebook Live last week, and these were some of the leftovers. This card was made to accompany the little photo book I showed in the video. I will share the details on that one soon. I used a couple of retired products on this card, but they could easily be substituted. The Crumb Cake Note Card with the envelope, and the star candy dots are now retired. 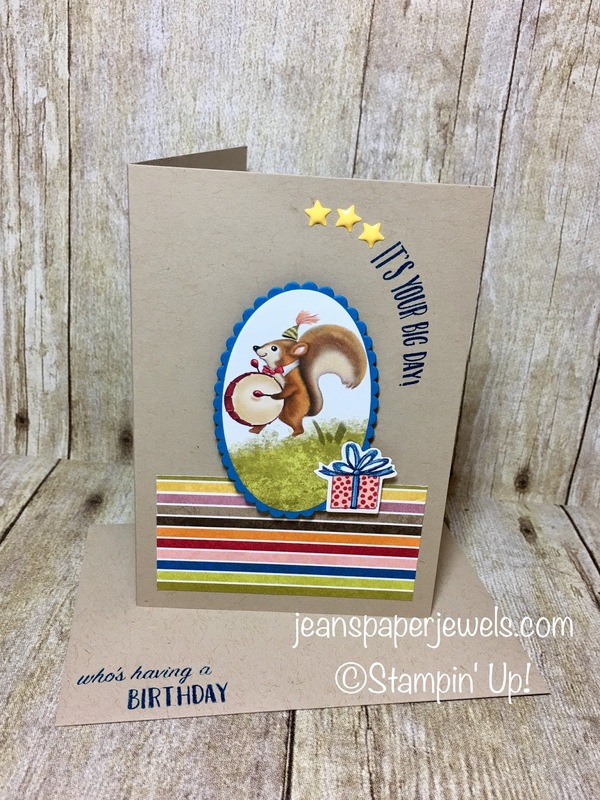 We still have the Whisper White Note Card Sets, and any cute embellishment would work fine.